We have to be careful of our attitude when those around us look down upon us for the stand we take or for the inabilities of the flesh. However we can take that stand in a righteous way and not allow that spirit to stay with among us. God once again promises Abram that he will be the father of many nations, but with the specifics that it is through the throne of God. God’s covenant is proclaimed through Abraham. God instructs Abraham to circumcise the men, to set them apart and remind them of the covenant that God has for them. God proclaims his promise through words, changing Abram and Sarai’s names and through the circumcision. These 3 things are testaments of what God has blessed Abraham and Sarah with, being the father and mother of many nations. When Abraham saw the people of the Lord coming to visit, he was quick to be hospitable, taking them in and serving them. Abraham could have faith and believe that God would make him the father of many nations but it was more difficult to believe against the odds of human ability. He trusted God to lead him from a known land to an unknown land, but he and Sarah laughed when they were promised a son. When God gives us a promise, let’s not laugh at its fulfillment or God’s power to see it come to pass. Even when it seams impossible, God is on our side and we know that all things work best through and for him. Abraham seeks mercy for Lot and his family when they didn’t see or understand the great necessity for escape. We can’t assume to be able to think above God and go around his plan as those building the tower of Babel thought. God will confuse all those that attempt to be god. God promised to Abram that his children would one day have Canaan and all the inhabitants at this time, more than 400+ years before the fulfillment. When God gives us a promise through his word, let us be careful not to dismiss it as too big or hard to grasp when the time comes for us to receive that promise. Abram acted immediately with out question when God directed him to get up and move. A caution to fear man – when Abram told Pharaoh that Sarai was his sister for fear of his life. A careful and Godly way to handle situations, take the humble way. As Abram let Lot take first pick even though it seamed to be the better choice. Abram didn’t want to be made rich through the hands of Sodom. He wasn’t willing to take any reward for rescuing those that had been taken by the enemy. But he also let his men choose, he didn’t speak for them or their experience. God makes Abram a promise to provide for each need bountifully. Abram had the kind of relationship with God that he could bluntly ask what concerned him and expect to receive and answer. This week I got some news that could be unsettling. And I knew that I there were 2 ways for me to handle it. I could get depressed and worry about what the future might hold. I could pull into myself and not trust. I could do my own thing and get frantic trying to find a solution to the problem. Or I can trust in God to take care of it. I can give it to him. I can continue to do what I know I need to do and let God handle the rest. This isn’t saying that I’m not concerned about my future, but that I know that God has a plan and will bring it to pass if I let him have all control. As I was going through my morning the song His Eye is on the Sparrow came to mind. I was reminded that there is no need to be worried about the future. 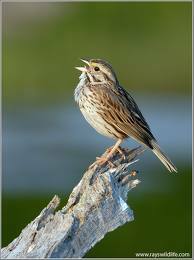 If God is concerned about the sparrows, wouldn’t he be concerned about us? In Luke 12 we are told that we are more to God than the sparrows. We have no need to worry, for God is watching over and protecting us. As I was thinking of this I went to the scriptures looking for a specific verse and while I didn’t find the one I wanted I found 2 others that were just what I needed. I was so encouraged. God has promised to supply ALL my needs, not my wants, not my desires (even though he does consider them), but my needs. Because of this promise, I can trust as Abraham did. His situation was more impossible than mine and he staggered not. He trusted that God would come through on his word and do as he promised. We can hold on to this. When life brings trials our way, we can trust in God and his promises. There is not one promise that he as broken, one prayer he hasn’t answered, one time that he has left us alone. God is. And we can have confidence in him.